With the next instalment of the iPhone due in September, we take a look at iOS 7, the operating system which will power the next wave of iPhones, iPads and iPods. What are the rumours, what’s the speculation and more importantly, what can we expect from Apple as they gear up for what could be a company defining launch this autumn? With Apple, it’s a huge call to state that their next release may be ‘company defining’ but there’s a real feeling that the tides have turned and that Samsung (amongst other Android manufacturers) are the brand on the rise. The iPhones 4S was a major disappointment and the iPhone 5 didn’t do much to rectify that. Therefore the iPhones 5S is a really big deal for the tech giants and iOS 7 will play a significant part in this. Market research indicates the swathes of iPhone 4S users, many of whom are coming to the end of their two-year contracts, are seriously considering moving away from Apple if the new iPhone is anything less than revolutionary. The 4S probably launched at the peak of Apple’s powers, at a time when the smart phone marked was Apple. 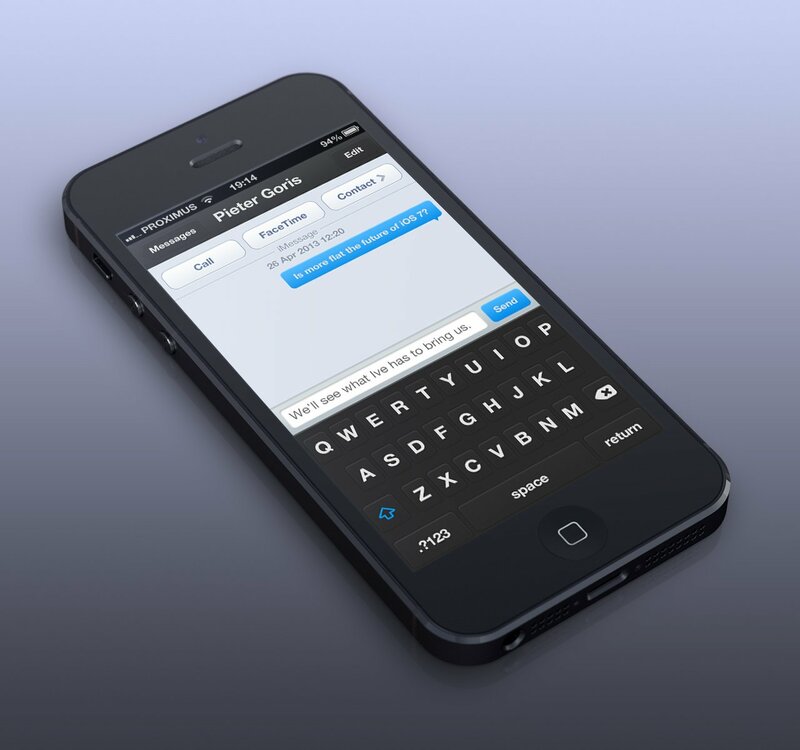 In 2013 the landscape is different, so what can we expect from the new IPhone’s iOS 7 OS? 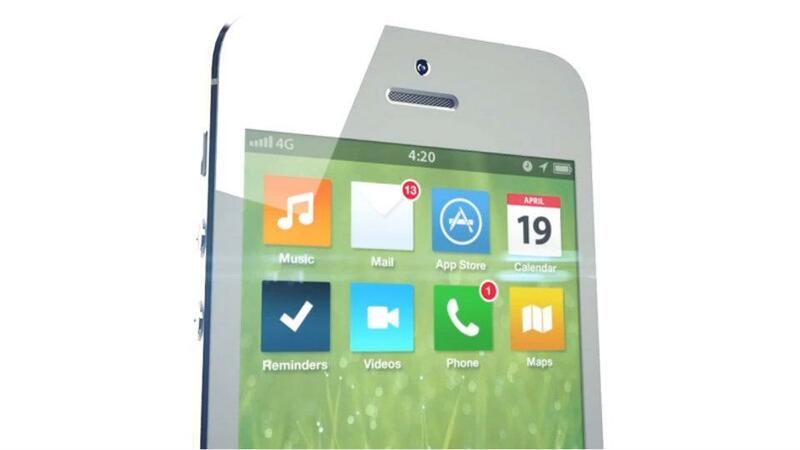 Is this a vision of the iOS 7 future? When will iOS 7 be released? Apple are going to talk extensively about iOS 7 at their Worldwide Developers Conference (WWDC) which kicks off in 5 days. Apple historically has released iOS upgrades to developers promptly, allowing them to work on updating their apps and creating exciting new apps with the new functionality. Therefore, expect the iOS 7 release date to be September. iOS 7 release date September 2013. Will you hit “download and install” or will you take more persuading? Will iOS 7 work on the iPhone 5 / iPad 4? Historically, Apple’s iOS updates have been universal, working across all relevant Apple devices. The fall back has been devices which don’t have the hardware necessary to work with the new software updates. For example, any incremental updates to Siri, the voice powered personal assistant, will not work for people who own an iPhone 4. Besides this, there is no reason to expect the updates to not work across existing devices like the iPhone 5, iPad 4 and iPad mini. Is iOS 7 already being tested? We can conclusively state that the new iOS is in testing. Websites, including Pocket-Lint have reported seeing web traffic coming from iOS 7. This traffic is coming from Cupertino, SF, which of course is the home of Apple. TechCrunch has also reported similar findings via the work they have been doing with a NYC start-up called Onswipe. The one definite fact thus far, with more to come out of the WWDC, is that Jonathon Ive has designed the new iOS. This was revealed by Scott Forstall when he departed and Tim Cook, Apple CEO, has confirmed that Ive has been “really Key”. The new iOS will look radically different on the back of Jonathon Ive’s input. He’s known to be implementing sweeping changes, notably by making the design “black, white and flat all over”. It’s also likely to be stripped back and notably simpler to use. According to insiders, a lot will remain the same. The lock screen and the home screen are known to be remaining the same, but it’s likely that a number of the native apps that come pre-installed, such as maps and the email are likely to see changes. Black, white and flat all over – is this the new iPhone and iOS 7? Rumours also point to Flickr and Vimeo being heavily integrated into the operating system, much like Facebook and Twitter. Vimeo is an emerging video platform which can be made up for YouTube no longer coming as standard. The New York Times and The Wall Street Journal have both reported that Apple will launch a live streaming service, believed to be called iRadio at WWDC. This is anticipated to be a feature which Apple want to take on services like Spotify with. If iRadio does launch at WWDC this month, expect it to be deeply integrated into the new iOS 7 and the iPhone 5S. Will these updates be enough to satisfy users? 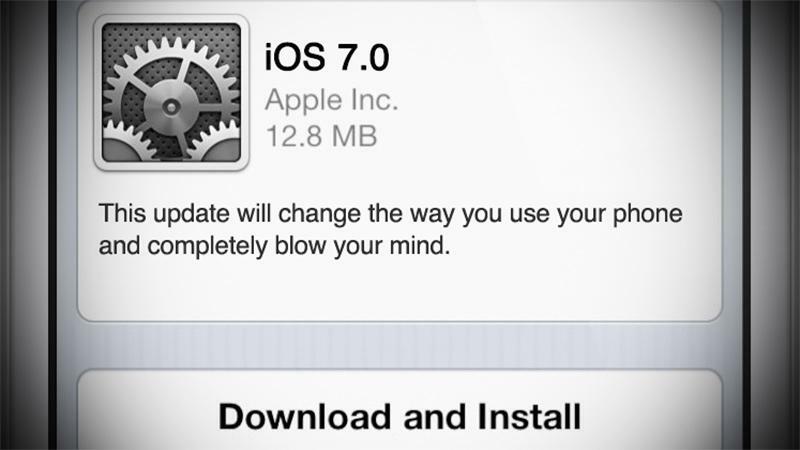 Apple has historically had a problem persuading people to download and install their software updates. The most famous, or infamous, was probably Apple Maps-gate, where users deliberately held off installing the new iOS in order to keep Google Maps. That iOS launch was seen as a disaster, with the new maps feature getting panned by critics and users alike. Apple therefore needs a solid hook in order to persuade people that they actually should update their phones. Rumours suggest that iRadio may be that hook, as a fully integrated music streaming service could take the new iPhone 5S to the next level. There’s also the investor angle to consider. Apple have been struggling on the stock market for a while, and Goldman Sachs went on record, via an open letter on Business Insider to express their concerns about the upcoming Apple updates and launches. It’s their belief that a simple user interface overhaul is “unlikely to be enough” to satisfy dissenting investors. They went on to say “we believe iCloud and Siri are in need of an overhaul as competitors seem to be surpassing what were once novel enhancements to the iOS platform. So it’s clear that this is going to be a very significant launch for Apple. The iPhone 5S needs to be a showstopper, as many dissatisfied 4S customers are coming to the end of their contracts, and market research indicates that a major shift away from Apple could happen if the new 5S and iOS 7 are not truly awesome. For Tim Cook, this could be career defining, as he needs to prove to investors that his company can come in the post-Jobs era. Can Apple still deliver?